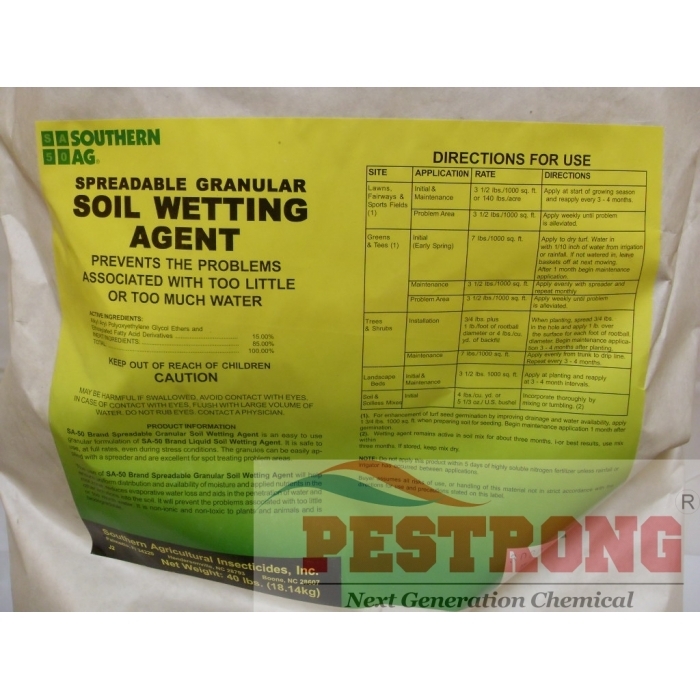 Where to Buy Granular Soil Wetting Agent, Soil Wetting Agent Granules for Turf - 40 Lb - $99.95 for Sale with Fast Free Shipping! Soil Wetting Agent Granules for Turf - 40 Lb prevent the problems associated with too little or too much water. 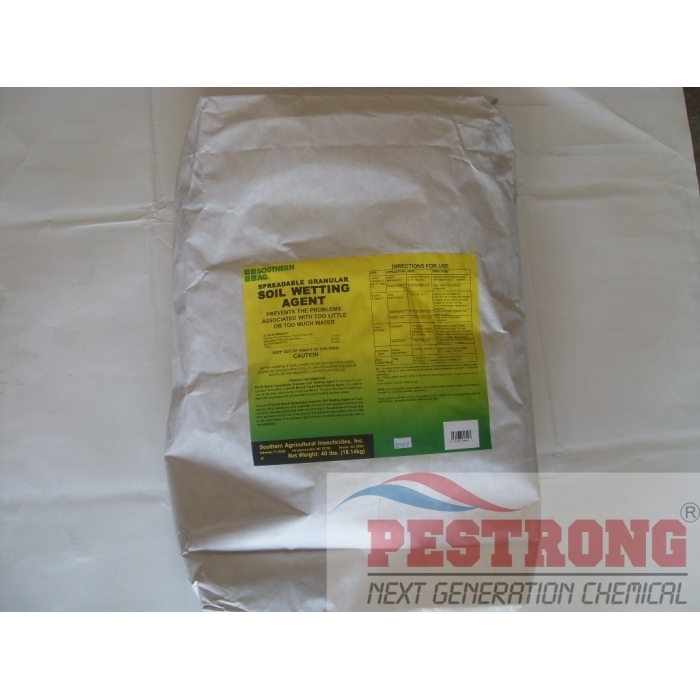 (1).For enhancement of turf seed germination by improving drainage and water availability, apply 1 3/4 lbs. 1000 sq. ft. when preparing soil for seeding. Begin maintenance application 1 month after germination. (2).Wetting agent remains active in soil mix for about three months. For best results, use mix within three months. If stored, keep mix dry. NOTE: Do not apply this product within 5 days of highly soluble nitrogen fertilizer unless rainfall or irrigator has occurred between applications. Love this product , binds the hydrophobic / hydrophilic soils and turns the areas that don't hold water or easier wilting areas into areas that hold water the way soil is suppose to. Just a reminder that this product does burn the foliage of grass leafs but the granules make it hard to burn the leafs of the grass. I have bought at least 4 bags of this product and will continue to buy more of them.